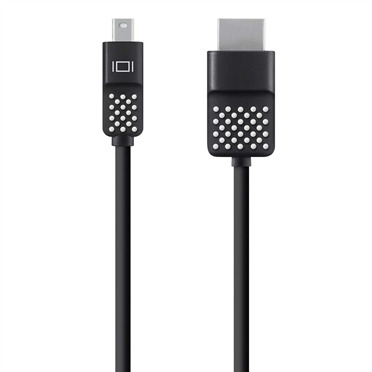 The Mini DisplayPort to HDTV Display Cable lets you stream high-quality A/V content from your laptop or tablet to your HDTV. 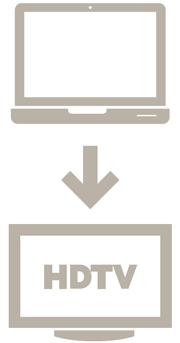 Use it to watch movies, share photos, or expand your workstation with a mirrored desktop. 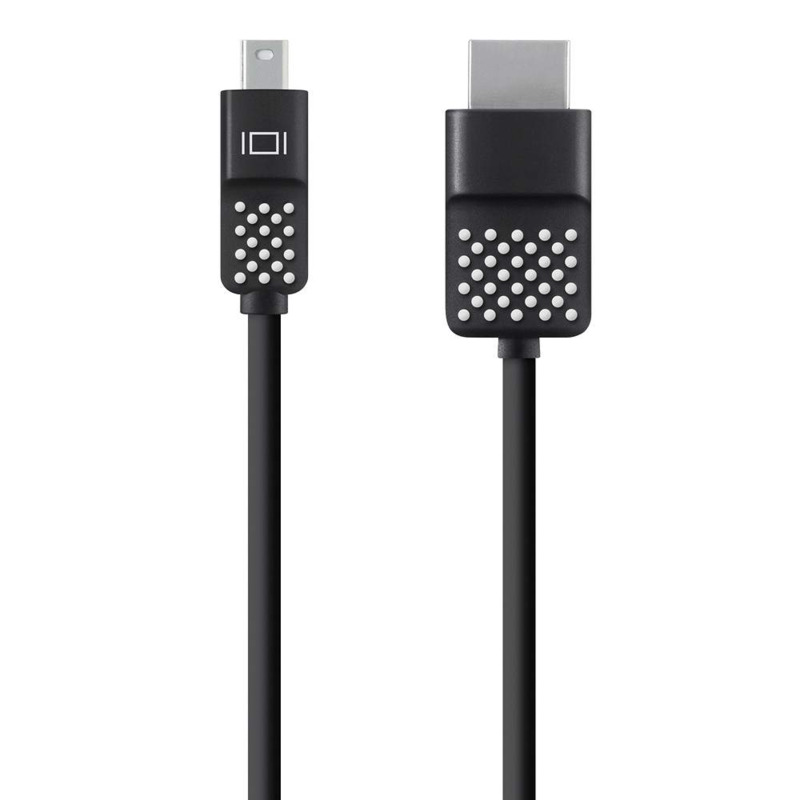 Note: This cable plugs into the Mini DisplayPort/Thunderbolt™ port found on MacBooks and many Ultrabooks and tablets. Please check your device to confirm compatibility. The cable's molded strain-relief design reduces strain on the cable to help prevent wear and tear. Its 6-foot (1.8-meter) or 12-foot (3.6-meter) length is ideal for connecting to hard-to-reach HDMI inputs on your HDTV. Seamless plug-and-play capability makes this cable ideal for quick media sharing in any setting. 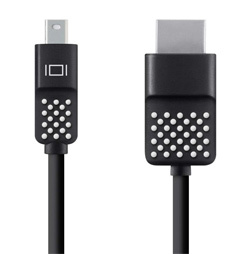 The cable has a black design with white labelling that helps you easily identify the "right side up" insertion point.